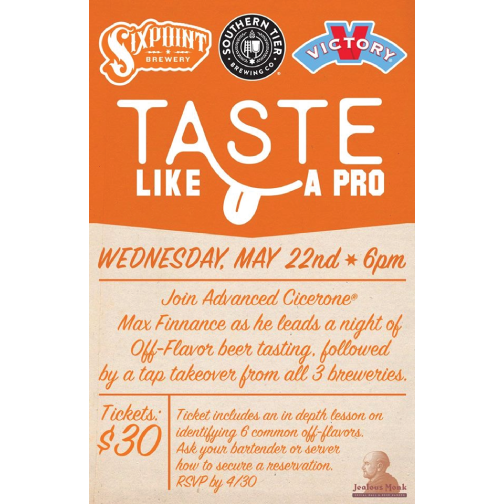 Join Advanced Cicerone Max Finnance as he leads a night of Off-Flavor beer tasting, followed by a tap takeover from all 3 breweries Sixpoint, Southern Tier Brewing Company, and Victory brewery. Tickets are $30 and include an in-depth lesson on identifying 6 common off-flavors. Ask your bartender/server or call 860.536.MONK to secure a reservation. RSVP by 4/30.